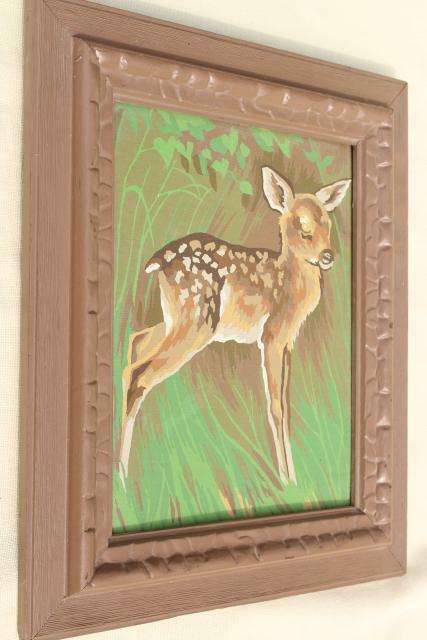 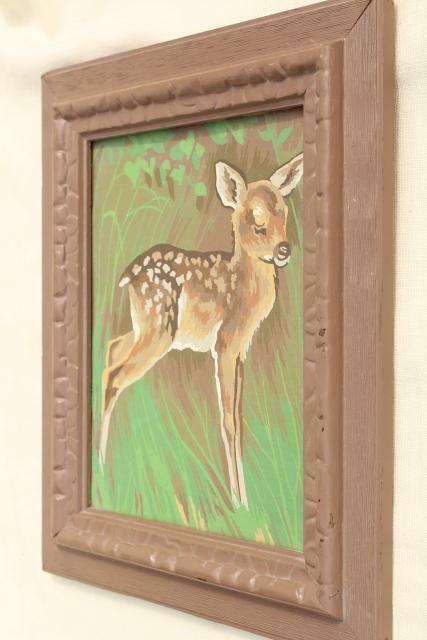 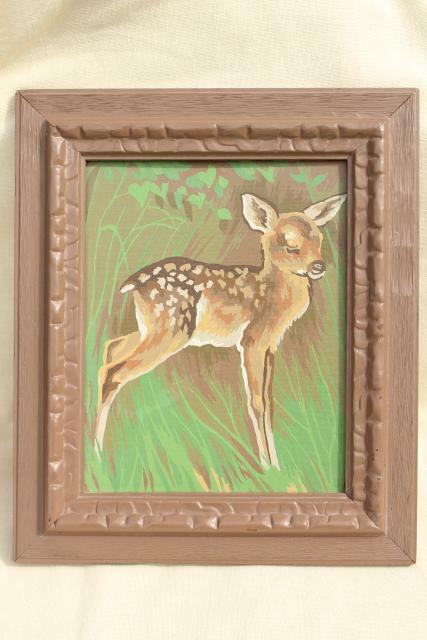 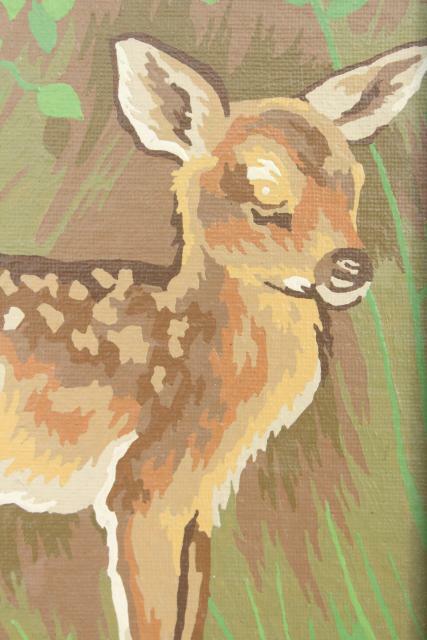 1970s vintage paint by numbers picture of a shy baby deer, neatly worked and framed in a cheap painted wood frame. 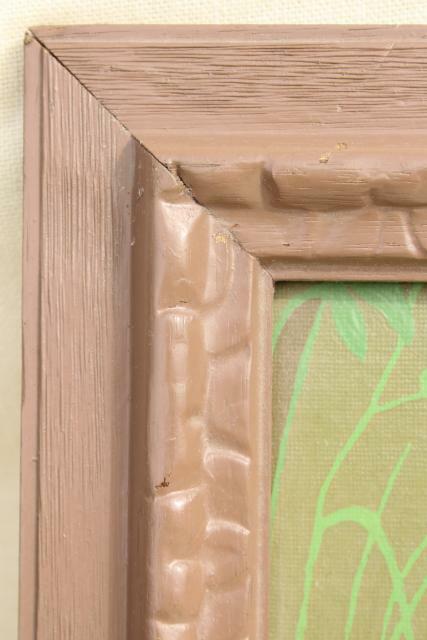 This would look nicer with new paint job on the frame, really! 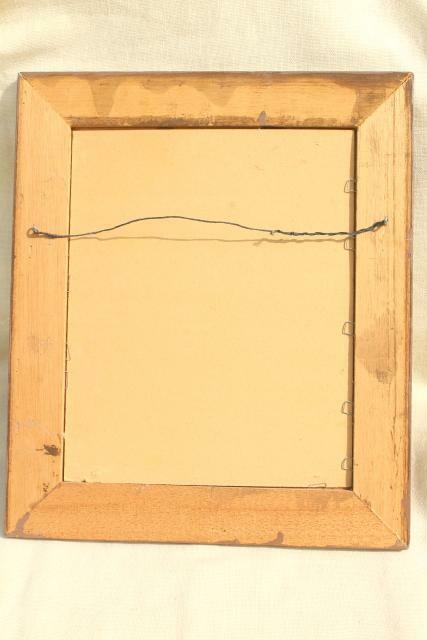 Measures about 13 1/4" x 11 1/4" overall.